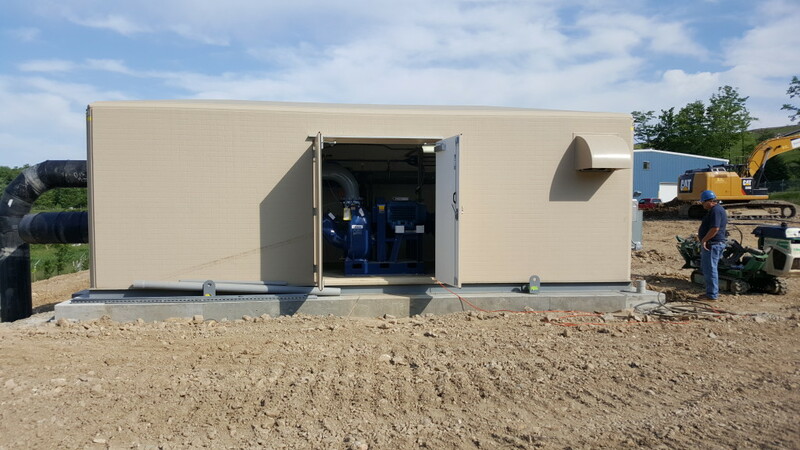 An engineering firm contacted Cummins-Wagner to assist with the design of a pumping station to transfer waste water from a tank to the treatment facility. 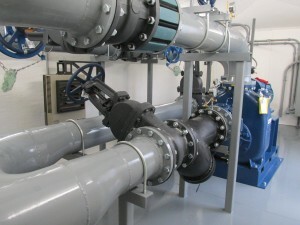 The customer requested an automatic self-priming system including a pump house and single point electrical connection. Our Engineered Process Solutions (EPS) group designs and fabricates custom skids tailored to customer requirements, including conditions of service, the manufacturers of choice, and piping and electrical specifications. All of the engineering knowledge, as well as all of the fabrication and assembly tools are located right in their shop, so the project never leaves the capable hands of our team. They manage the project from beginning to end with continuity of service, as well as a finished product that is customized for the customer’s application and budget. For this project, the EPS team selected Gorman-Rupp T10A65S-B pumps with 75 hp motors sized for 1500 gpm at 100’ TDH. Stainless steel wetted parts were used due to the possible aggressive nature of the fluid being pumped. A standard duplex piping arrangement with isolation valves and check valves was used to provide 100% redundancy. 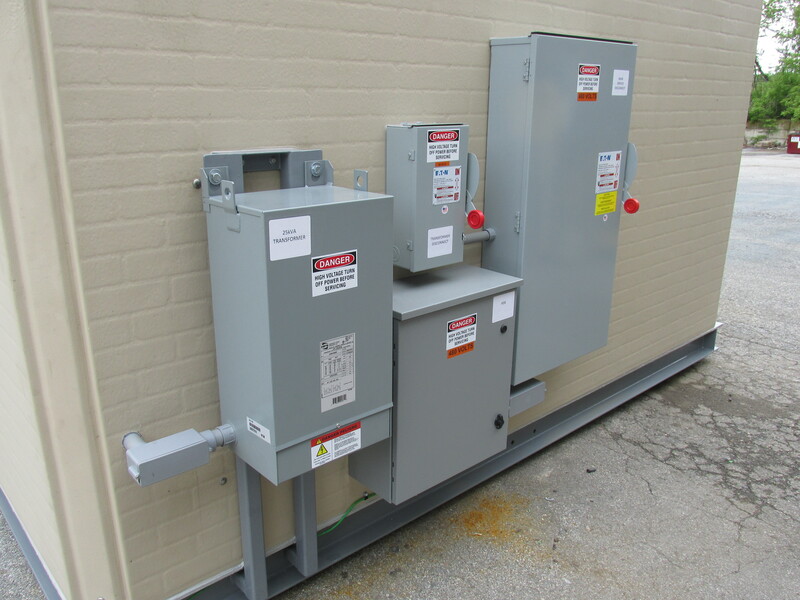 A custom control panel using Allen-Bradley soft starters and a Rosemount radar level transmitter was designed and installed in the building. The soft starters reduce the in rush starting current to the motors and the Rosemount radar level gauge provided a non-intrusive level control system. A 12’ x 26’ x 8’ high fiberglass building was selected to provide shelter from the elements as well as insulation and a professional appearance. The building includes heat, ventilation, lighting, and power outlets. A 250 amp 3 phase disconnect with 25 kVA transformer and single phase disconnect provided the single point electrical connection allowing the customer to bring one power feed to the pump house. An adequately sized circuit was provided for the customer to also operate a 7.5 hp air compressor. 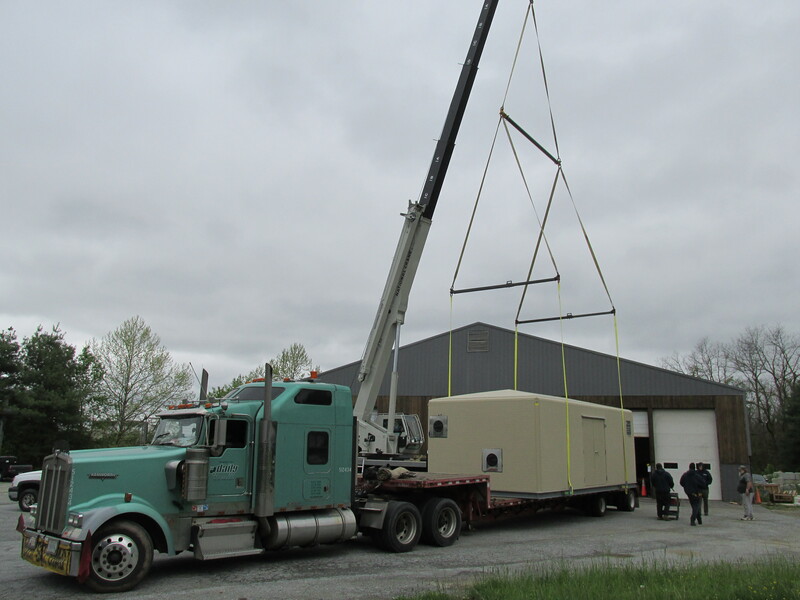 The above components were mounted onto a structural steel frame with lifting lugs, allowing the customer to place the completed pump house into position with a single crane lift. The completed system was electrically tested at our facility in West Chester, PA to make sure that on site start-up was trouble free and successful. A Cummins-Wagner EPS Engineer traveled to the site to assist with the start-up of the unit. The customer filled the tanks with fresh water for testing and the pump system was run. The system performed as designed and the customer was able to move on to the remaining items required to get the facility functional. “EPS provided great customer service from start to finish. The package featured a plug and play design with easy connection to existing equipment. I would not hesitate to use EPS again on our next project. Well Done!” –Mark Massa, Supervisor at Highland Field Services LLC.